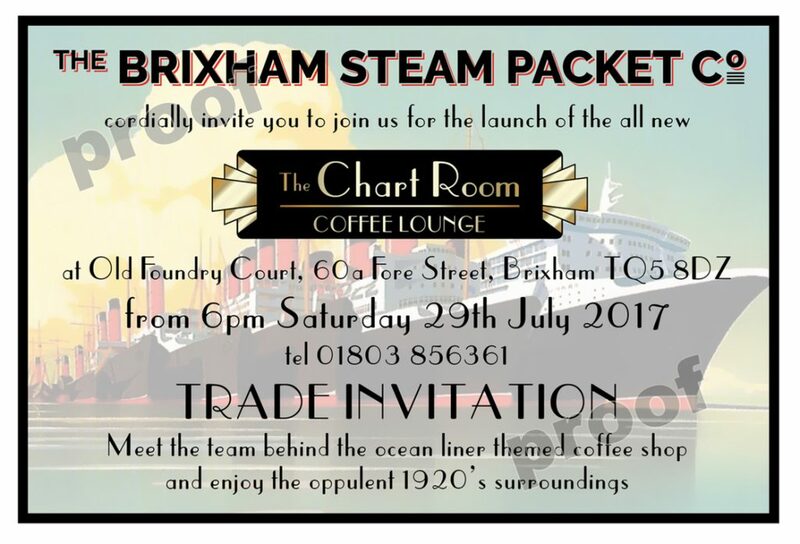 The Brixham Steam Packet Company cordially invite members of Brixham Chamber and their guests to join them on Saturday 29th July from 6pm for the launch of The Chart Room, a new ocean liner themed coffee lounge in the heart of Brixham. Meet the team behind the business and enjoy the oppulent 1920’s surroundings. The Chart Room, Old Foundry Court, 60a Fore Street.